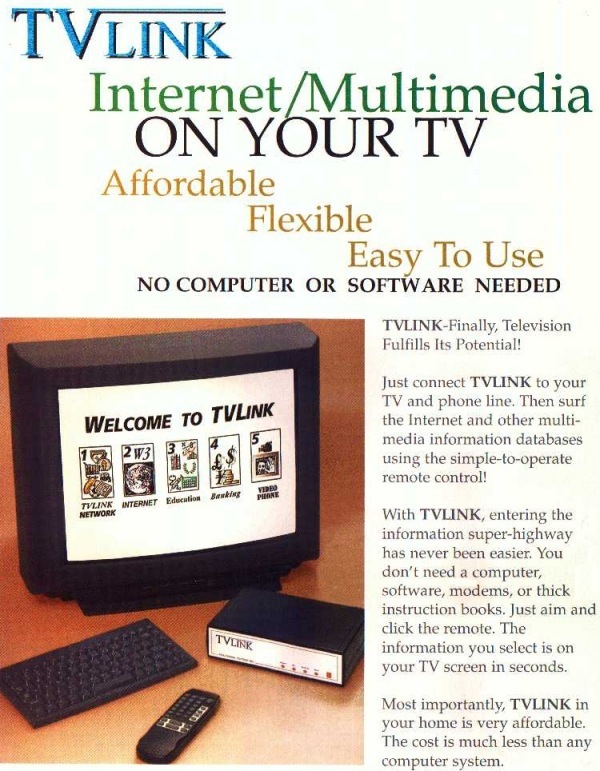 Created server software and web content for "TV-Link", the first TV set top web browser and email device. 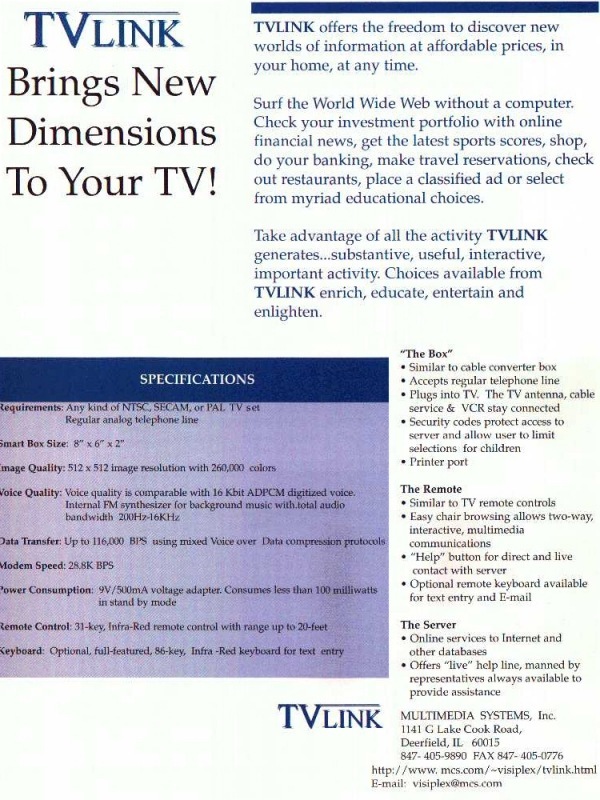 Marketed overseas, it pre-dated WebTV. Server handled virtual and multi-port physical dial-ins. Used translating proxy to reformat for small screen. Software implemented a web browser and email client, and NAPLPS inspired multi-media presentation scripting language. Even developed a complete PC based emulator for content development. Worked with inet daemons as well as NT and 95 servers. Program source exceeded 20000 lines of C under Linux, and made heavy use of terminal libraries, image stream processing, and Lynx source. Also wrote extensive online and user documentation and illustrations, manuals, promotional literature, and created company website.